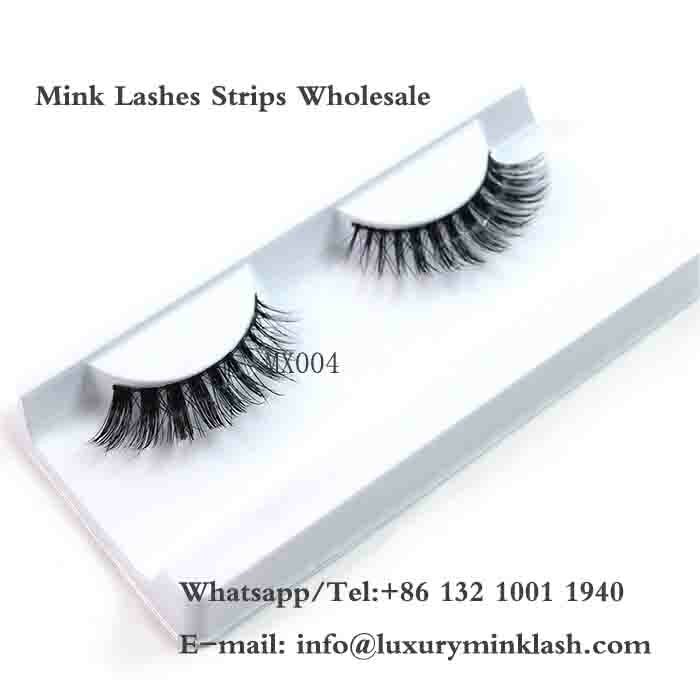 Mink fur strip lashes Wholesale China. 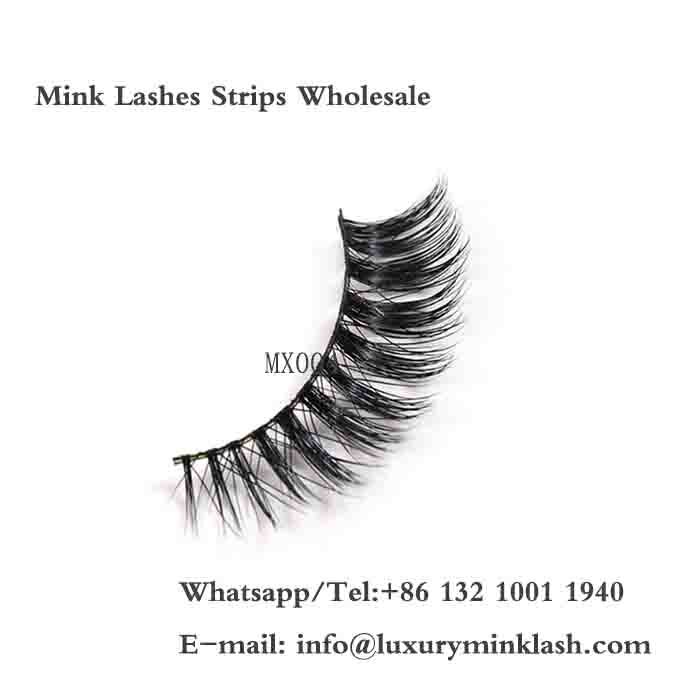 Lighter, softer, and more flexible than synthetic false eyelashes. Handmade, sterilized, and hypo-allergenic. 100% Authentic Real Siberian Mink. 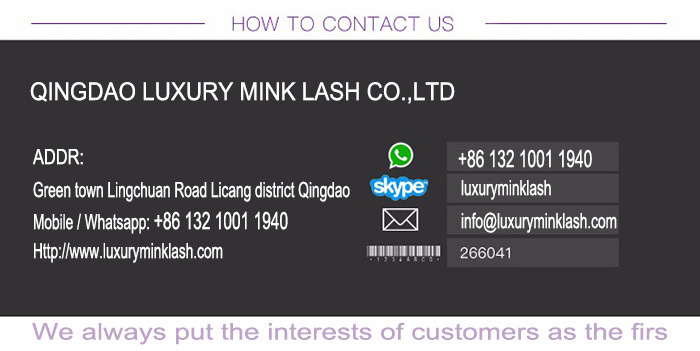 Reusable 100% Real Mink Fur False Lashes. 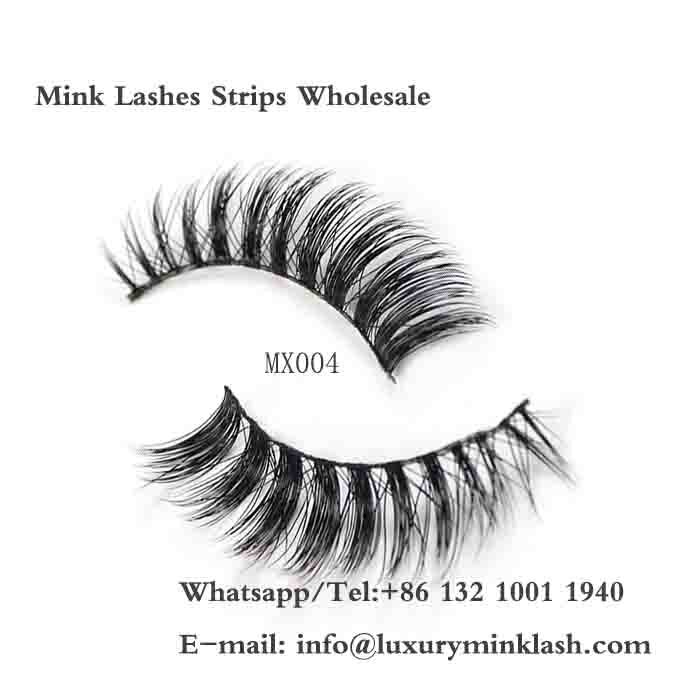 Factory price mink strip lash false eyelash with custom logo or private label. 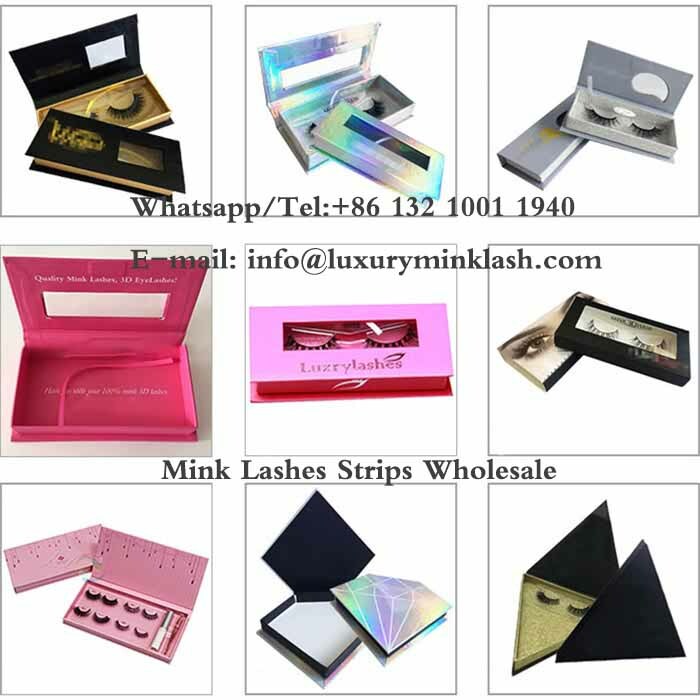 Mink fur strip lashes have distinct advantages over other types of false eyelashes. 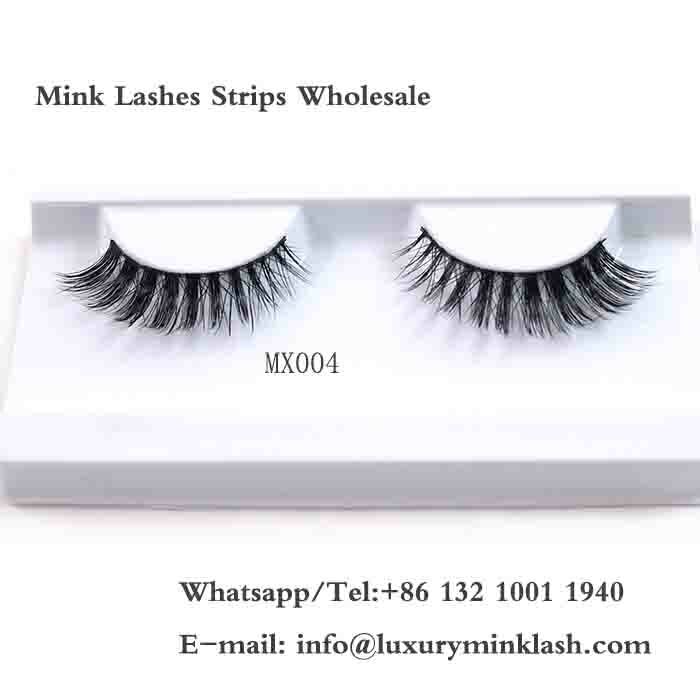 They are hypoallergenic; they do not go through the chemical processing that synthetic lashes require. 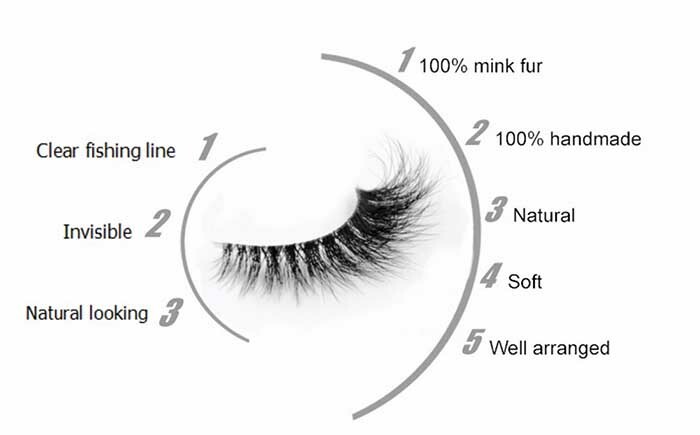 They have a natural look simply because they ARE natural — created from the finest, naturally black mink hairs.